Hi friends. 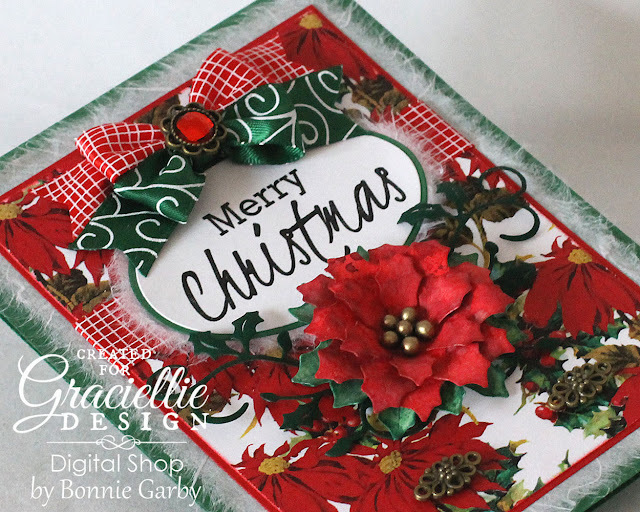 Yes, I know it's only November 1st, but it really is time to get going on those holiday cards and today I'm sharing a Christmas card I created using some of the pretty ribbons from the October Ribbon Club Assortment from Really Reasonable Ribbon and beautiful digi's from Graciellie Design. 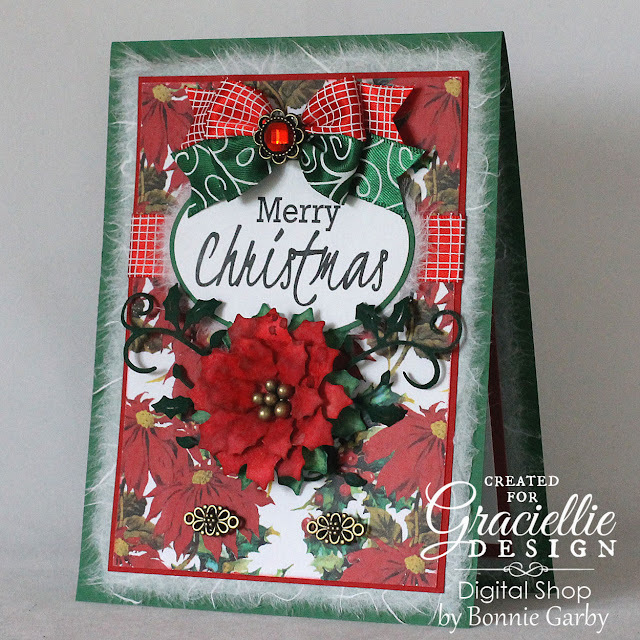 This month we are partnering with Graciellie Design so you will be seeing some fabulous digital stamps and papers in our upcoming posts paired with pretty ribbons from Really Reasonable Ribbon. 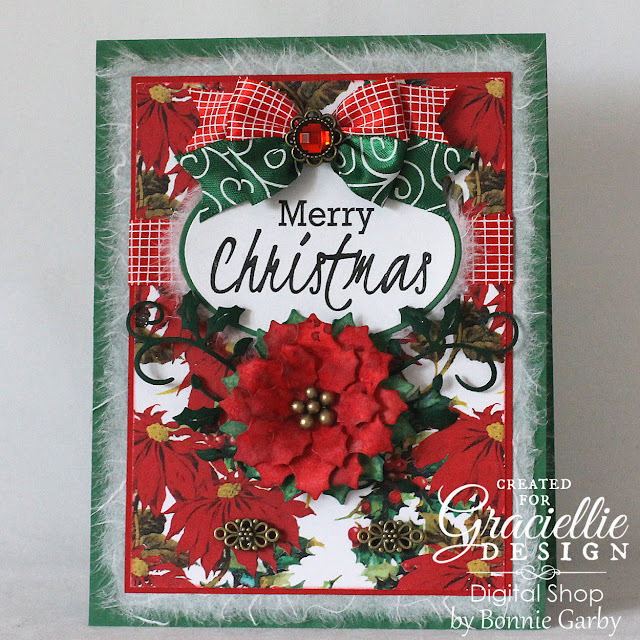 I invite you to head on over and travel through the Graciellie Design Blog Hop which is starting today where we will be promoting both Graciellie Design digis and ribbon from Really Reasonable Ribbon. This month we have a special deal where you can join now for a special low price and get both the October and November Ribbon Club Assortments. The October Assortment contains 9 styles and a total of 17 yards of ribbon and lace and the November Assortment contains 9 styles and a total of 18 yards of ribbon. 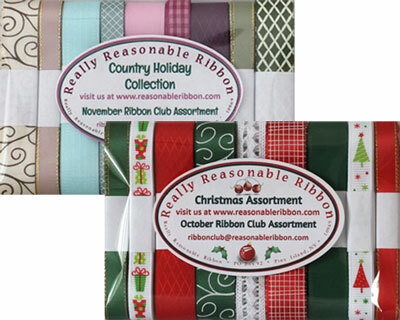 Each monthly assortment is a color or holiday themed assortment of ribbon. What a fun way to build your ribbon stash and try new ribbon styles. Today I'm working with the Cheery Christmas Digital Stamp Set and the Holiday Traditions Digital Paper Pack from Graciellie Design. I love digital stamps because I can adjust the size to fit any die shape that I want to use. My beautiful bow was created on my Bow-it-All V3.0 Tool using two of the 5/8" printed ribbons from the October Ribbon Club Assortment from Really Reasonable Ribbon. The center of the bow is adorned with a 14mm Flower Shaped Rhinestone. Thanks so much for stopping by today. I hope you will hop on over and join the Graciellie Blog Hop to see all the wonderful projects being showcased there. 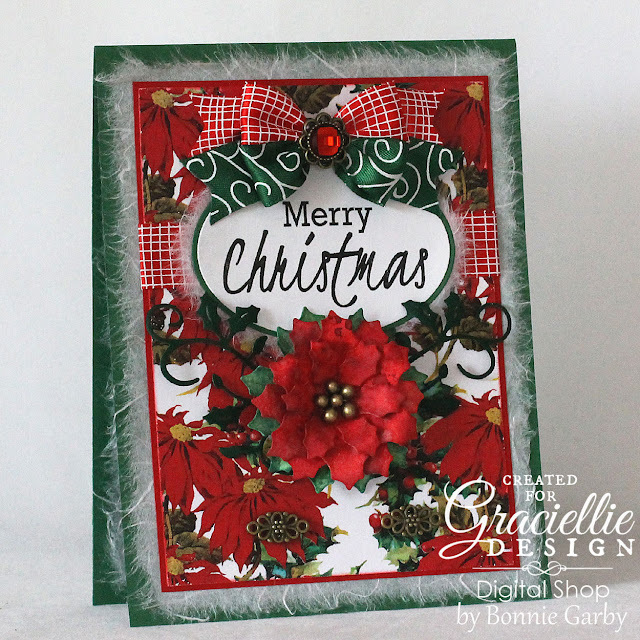 Beautiful card, Bonnie! Love your two tone bow at the top! This is so pretty!! I love that bow. Really Reasonable Ribbon Thanksgiving 5-Day SALE! Really Reasonable Ribbon Challenge #175 Winners! Really Reasonable Ribbon Challenge #174 Winners!